In October 2006, during Taylor’s freshman year of college, she became critically ill with severe dehydration. Upon further testing, doctors diagnosed her with stage 3 chronic kidney disease. Unexpectedly over the next six short years her health began to decline rapidly and by May 2012 we learned that she was in end-stage kidney disease. Because her kidneys are no longer able to work at a level needed for day-to-day life, a kidney transplant is needed for survival. Julianne, Taylor’s sister, became her biggest advocate. She spent many hours researching living kidney donor qualifications, surgical procedures, and life after a kidney transplant. She let it be known to all that she would be Taylor’s kidney donor because siblings were often the most perfect match. The Allen family had a plan and the course was set. On August 25, 2012, Julianne, beloved sister, daughter and friend to all passed away suddenly. Taylor is being treated at St. Luke’s Episcopal Hospital in Houston, Texas. Her doctors and staff members are incredibly compassionate, supportive and sensitive to her needs. After extensive testing Taylor was deemed a good candidate for transplant and was put on the waiting list. 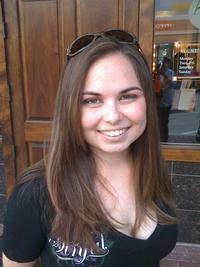 Fortunately Taylor has medical insurance to help with the cost of this transplant until July 1, 2013, her 26th birthday. At that time Medicare will start. Though it will cover the bulk of the procedure, she will have many out-of-pockets costs, such as: payments for hospital visits and clinics, and costly anti-rejections medications Taylor will need to take for the rest of her life. To help with such expenses, a fundraising campaign in Taylor’s honor has been established with HelpHOPELive, a nonprofit organization that has been assisting the transplant community for 30 years. All donations are tax-deductible, are held by HelpHOPELive in the South-Central Kidney Transplant Fund, and are administered by HelpHOPELive for transplant-related expenses only. To make a contribution:Your financial gifts and prayers will be greatly appreciated. Thank you for your support! Saturday will be a great day! Best wishes for Taylor. Praying for you and your family! I know that God will give you the strength to make it through this process. Your Mom is such an inspiration to me. I would not have known what Ms. Allen was dealing with. She has come to school, with that smile, and continued with business as usual. Peace and blessings to you and yours! Dear Allen Family---we are in for the fundraiser! Keeping all of you in thought and prayers! Love you much!